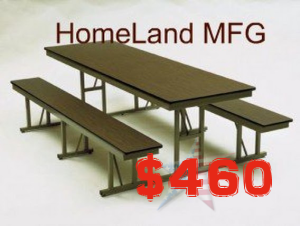 Barricks Manufacturing Cafeteria Bench Seats are Economical, Stylish, Functional and Offer Years of Service TOO. NBR 48 $540, NBS 48 $540. 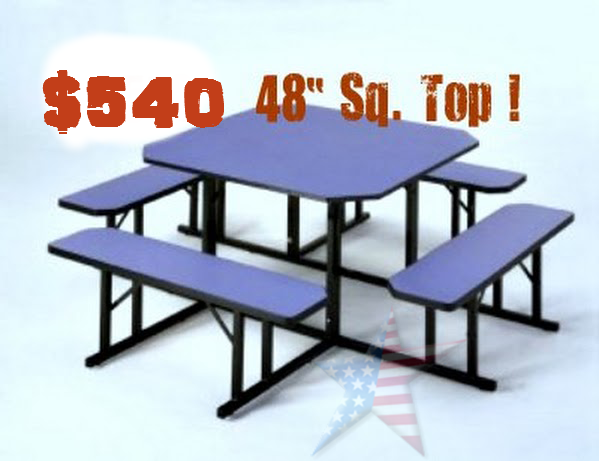 It's Break time, lunch time or socializing time!! 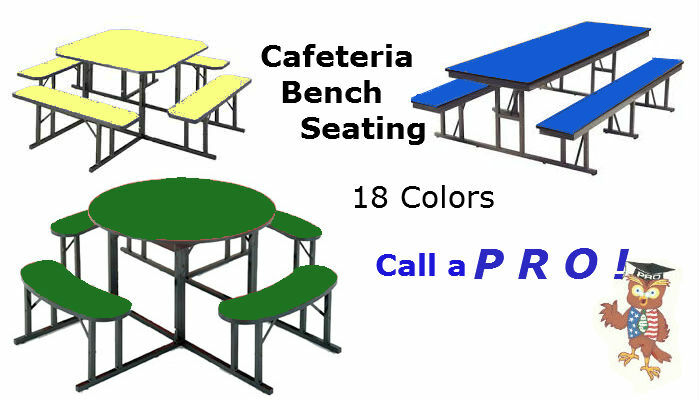 Barricks manufacturing indoor cafeteria tables have the style and color options to make lunch FUN AGAIN! 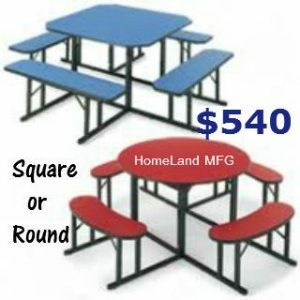 Whether its a small table with chairs or large industrial strength tables with attached seating, HomeLandMFG has the cafeteria table. 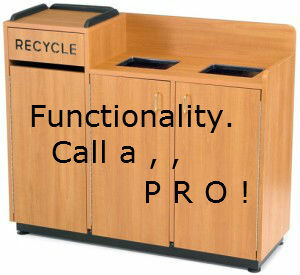 High-pressure laminate surface on these will give years of service from stains & scratches. 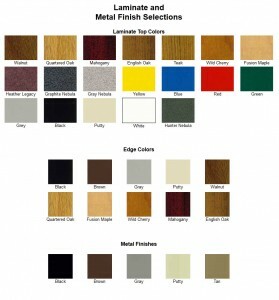 500lb seat capacity and many laminate colors to choose from. 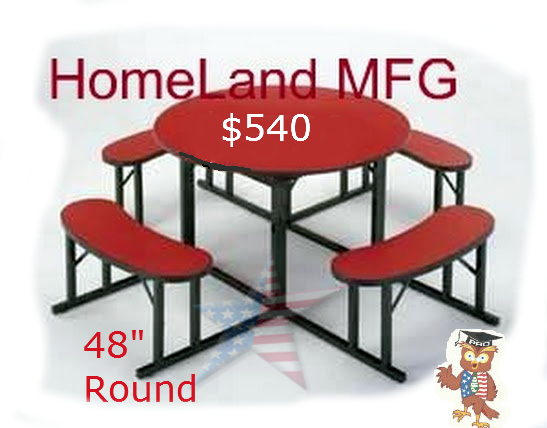 High Pressure Laminate Seat & Top; All Steel Frame Life Time Warranty; 10 Year Laminate Warranty; 500lb Seat Capacity; Seats are 12" Wide.